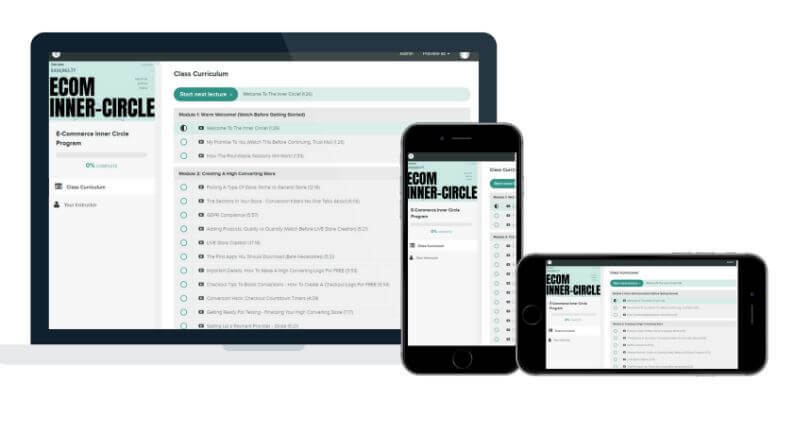 If you have been searching for a review on the eCom Inner Circle course by Arie Scherson to see if it is worth the purchase or not, this review will certainly help with your decision. You’ll know at the end if it’s worth the price tag or if there are better alternatives available which I will also share with you. You may have heard of Arie Scherson from his Youtube channel. Arie seems like a humble guy who isn’t a showoff like a lot of other dropshippers that come into money. Even without his course he does provide some pretty good value with videos on his channel. 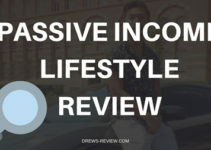 He does however use his Youtube channel to promote his course but also has helpful videos on things like mindset hacks, how to find winning products and shares new strategies occasionally. The cost of his course is $397. *Update – the course is now $497 & $997 for a VIP Mastermind* Quality of his videos is very good because it is hosted on the Teachable platform. So whether you want to watch his videos on your computer phone or tablet, videos will be very clear due to the excellent quality of the Teachable platform. To get to the sales page you will need to wash one of his videos and find the link in the description. You end up on the teachable system to make your payment and you can choose either paypal or a credit card. There is no monthly option so a straight payment is required. Arie claims that you can expect to have a first $100 day with in the first month of taking the course provided that you do everything that is instructed. Of all the eCom courses that I have bought I’ve never heard anybody make such claims because success is truly dependent on your devotion and also a little luck. However some people have gone to make much more than $100 a day within the first month. What I do like is that Arie makes sure that the course is updated whenever new key information is acquired so the course is always up to date. Like most course introductions, Arie gives you an overview of the course and what you can expect to achieve. He explains the best way to learn is to take notes and to take action with each and every module rather than just going through the entire course. He also explains that the course will updated whenever new material comes out. Most marketers do not update their courses so this remains to be seen if it will actually be done. As you know Facebook changes quite frequently so having updates even just on Facebook ads would be beneficial. Just like all dropshipping courses that use Shopify as the platform, in this module you will learn how to set up your store. Focuses on conversions which is the most important aspect for your success when customers land on your store. Here he discusses were you owe choose between a niche or a general type store. There are quite a few videos in this section but thankfully they are not very long. The longest one I believe was about 20 minutes. The detail in these videos is very good and he explains it well. It’s also up to date with the relatively new GDPR compliance which you will learn about. For those of you that are visual learners you will get to see a store created from start to finish. This is great for those that have never done before and will be able to draw from an example. You’ll also learn how to create a logo which is extremely important for branding. You will also learn how important branding is for an e-commerce store. You’ll learn conversion hacks with things like countdown timers. Setting up your payment provider and an automatic currency converter for your store is also discussed. You will find these videos to be very straightforward and detailed providing only the information that you will need. No fluff, which is what I like. In module three you will learn how to find winning products. Arie says that these strategies can help you find products that can be worth 4,5 or even 6 figures. Finding these products starts off with simple strategies and then goes into more advanced tactics. He tells you how you can find hidden gems that could make you a bundle by using a third party software called Product List Genie which is separate from that coursed and a cost that $97.00 per month. As a side note, Arie is part owner of this product. 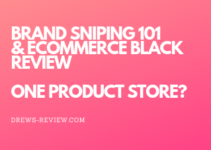 There are many other methods to finding products in the section which I think is tremendous value considering that when I first started in eCom, finding winning products was one of the most difficult things to do. You’ll probably want to go over this section a few times. Arie is realistic though, and we’ll tell you that finding a winning product is not an easy task so I do appreciate his honesty. Arguably the most important section of any dropshipping course is the Facebook module. You can have a great looking and well converting site but if you’re not getting any traffic you’re not going to make money. Facebook is probably the best method to generate traffic for any dropshipping store. There are other methods but nothing can get you started faster than Facebook ads. Arie does a good job showing you how to set up your business manager account and install your pixel in the first video. The video is fairly up to date in regards to the current Facebook setup however this will more than likely change at some point. Most marketers do not update their Facebook section so if it does change don’t be alarmed because it’s generally the same thing. You just may have to use common sense. Having said that Arie does a good job showing you how to create a Facebook page and a high converting video ad. He also goes into split testing strategy which is important for determining a winning ad. What I like here is that he teaches some different strategies that most guru’s do not. He also shows you have to set up a campaign properly and also want to pay attention to within the first three days of your new ad campaign. He will also show you how to properly set up your ad account for optimal reporting. One of the things that I have learned with Facebook ads is that you really need to pay attention to the performance and how to identify trends with your campaign. He does a good job in showing you how you should react with that data that you get from Facebook and what to do next. The last section shows you have to scale your ads for more profit and how to decrease your ad spend. 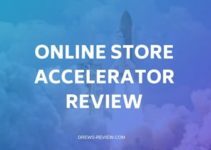 Arie’s Facebook section is very detailed but I have taken other dropshipping courses that have had more substance in this area. For example, Franklin hatchett’s eCom Elites course has just over 50 videos on Facebook an Instagram which is more than what you get with eCom Inner Circle. In the advanced to Facebook ads module this is for you guys and girls that have already made some money from your Facebook ads. Here you will learn how to set up look alike audiences, retargeting and how to set up custom audiences and retargeting with Dynamic product ads. You’ll also learn micro testing concepts and how to go from 5 to 6 figures. There’s also a section on Manual bidding and how you can use this to take your store to the next level. He also includes a $10,000 day case study and another case study where he went from 0 to 50,000 dollars in 60 days. You should take these case studies with a grain of salt because some products have a shelf life due to trends so this does not mean you will be able to repeat the same success. However, there some good information on how this was achieved which means you could conceivably achieve the same results if not better. 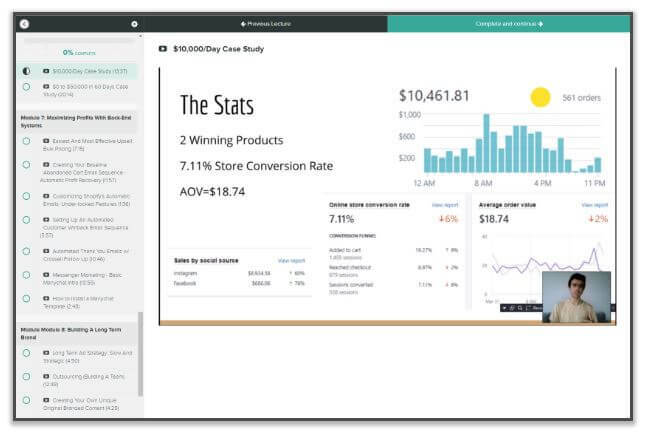 Module seven teaches you how you can maximize the profits from your store utilizing the Shopify platform. You’ll learn of plugins that you can use to boost sales. Arie also shows you how to create an effective email sequence for those that have abandoned your cart – and believe me you’ll get a lot of abandons so it’s essential to have a good campaign to win those customers back. Also taught is how to use Manychat which can help you retarget buyers on Facebook at no cost. As I mentioned before building a brand is extremely important. Arie does this a little different though, where he owns suggests to build your brand once you have found winning products. I have to admit I find this an interesting approach and may consider this for a future store. This module also shows you how you can get VA’s (virtual assistants) to help with the growth of your store. You’ll also learn how to add an affiliate program to your store which in turn increases brand awareness and can also help with organic results in google too. You’ll also learn how to keep track of all your numbers and there’s also a module on Instagram branding. Like with every good e-commerce course there should be a Facebook Group. Here you can interact with other members from the course and with Arie himself. It’s a good place to get inspiration and to also post your successes and discuss roadblocks is well. This is entirely an option so you can join the group if you feel they will benefit you. eCom Inner Circle comes with a 30 day money back guarantee. You can try for 30 days risk free and from what I’ve heard there’s no issues in getting a full refund. The $397 price tag is what you’ll pay and at the time of this writing there are no known discount coupons. Overall my opinion of this course is a positive one. The $397 price point is not exactly a no brainer but I think it’s fair for the quality of the content. Arie does seem like a legit marker and I first learned of him through Youtube. You generally get the sense that he speaks with integrity and I feel this has carried throughout his course. As mentioned before I promise to give you an alternative to this course. Hands down the best alternative would be eCom Elites. You can check out my review and see what you think. It’s also half the cost so it might be more enticing for you. If you’d like to make a comment on my eCom Inner-Circle review you can do so below. Thanks for reading! Ecom Elites is my #1 choice for either newbies to ecom/drop shipping or those already in the game. In my opinion it's the best course available right now for Ecom. For only $197, you can't go wrong. Check out my eCom Elites review or learn more about eCom Elites. Arie seems to have relaunched his course with higher price tags.